With our 8-year anniversary just a few days away and as you may have seen on our last eNewsletter, RIDE Adventures just announced that we’re starting operations in Asia, our 5th continent! Surprises? To me, the guy that has spent most of the last 10 years riding adventure bikes through 25 countries on 4 other continents? Through places like the Skeleton Coast, the Namib Desert, the Alps, Andes, Rockies and Dolomites? Yes, Thailand and Laos still surprised me. Are you a Self-Guided type of Rider? 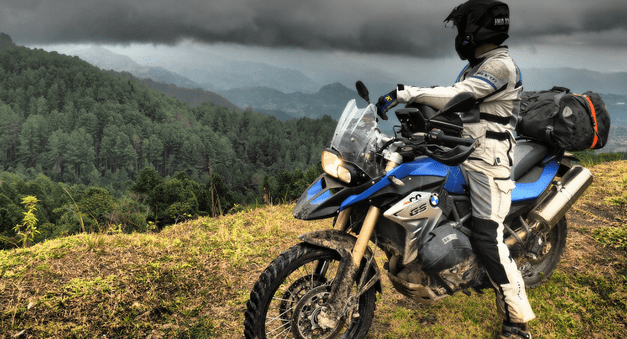 Trying to be as informative as we can in helping Riders choose the right motorcycle trip format, there are plenty of points to consider if you think "Self-Guided" is how you'd like to experience your next international adventure. For some, the only way to ride is being out there solo, with no strings attached, schedules to follow, or fellow riders to wait for as they put on their riding gloves at a snail's pace. The spirit and mystery that goes into solo motorcycle travel can be felt in onlookers at the gas stations and obscure locations that we end up in, as people around you wonder "where is that rider from, and where they are going all geared-up like that?" The time to think, ponder, and pontificate within one's helmet can be found in it's purest form during these solo rides, while almost completely on the flip-side, it often makes for the best opportunities to meet new people, as we don't already have our regular entourage to confine us. Many of our Self-Guided Customers have chosen this format for the sake of being able to form their own Private Group motorcycle trip affordably. 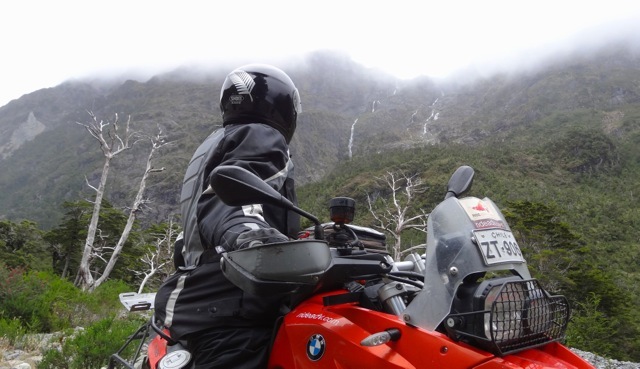 Because Guided Group tours come with an array of fixed or common costs to consider, it's often financially unfeasible for private groups of 2-3 Riders to afford the full services we provide with a Lead Motorcycle Guide and Support Truck with Driver. 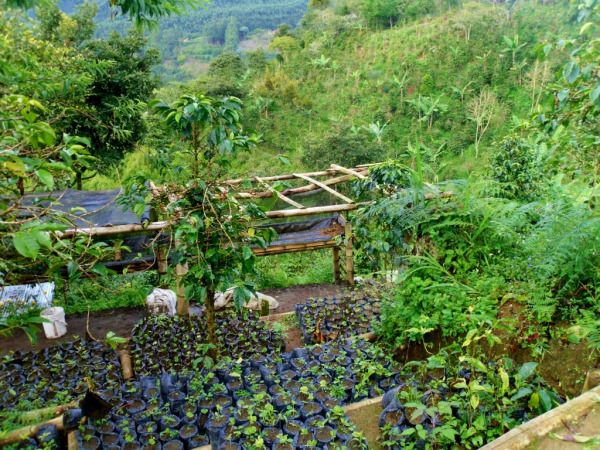 As part of our regular riding routes in Colombia, we have the opportunity to tour actual working coffee plantations and see what it takes to grace us with that essential cup of joy every morning. 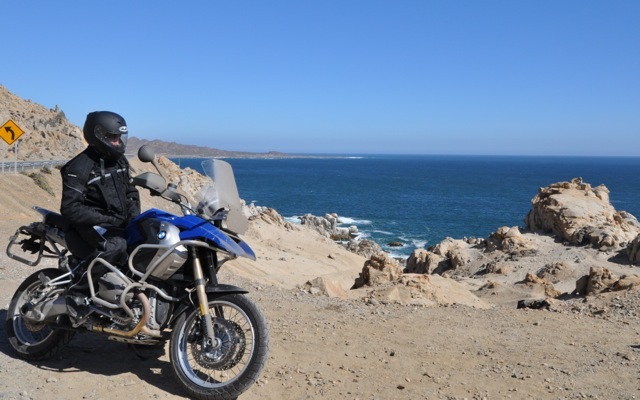 On the heels of our recently announcement of these great new service offerings for riding motorcycles in Colombia, it's time to share some of "why" we would bother to offer trips here in the first place. What wasn't explained in that eNewsletter was that, indeed, RIDE Adventures did have Colombian operations in place back in the first few years of business from 2010-13. Sadly, but as can happen in any situation, our working relationships with the people previously involved came to an end, so it's only now about 4 years later that we've been able to reestablish a team worthy of taking care of our Customers in Colombia. This means great things for adventure riders from around the world who might have never thought they would ride in a country like this. 1) BECAUSE "YES," IT’S SAFE TO RIDE IN COLOMBIA!!! Most of the world thinks of motorcycles as just another way to get to another destination, only different from a car in that we get a little wind in our hair or bugs in our teeth (keeping in mind proper helmet use of course : ) Part of what makes a motorcycle the best vehicle for genuine adventures is just the fact that you're not trapped "within" the windows of a vehicle, or in the case of dual sport bikes, that you're not confined to a particular type of terrain. 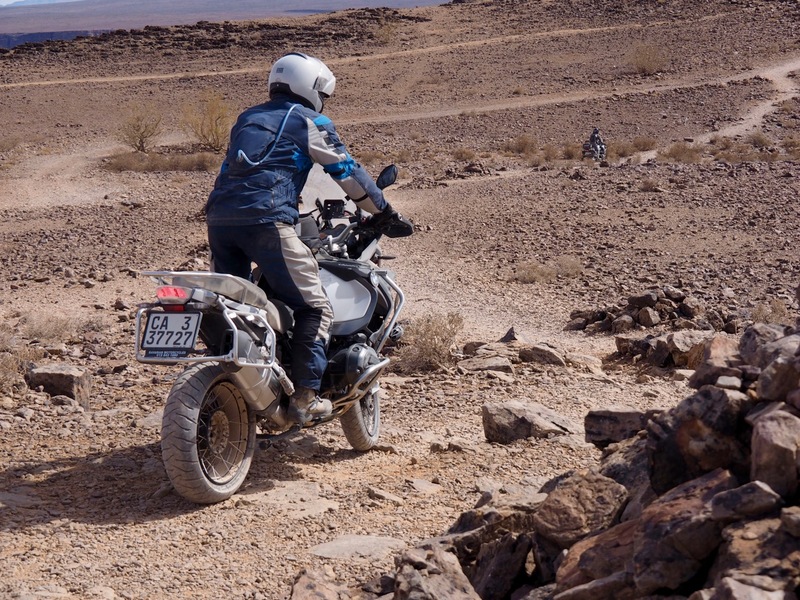 Riders often dream of taking one of the bucket list trips at RIDE Adventures, and one of the destinations we'd like to feature today is a glimpse at a South Africa motorcycle tour. While you might not need additional reasons to go on an amazing adventure like this, here are 10 more to-pardon the pun-get your engine humming, presented by Simon and our crew based in South Africa. As another gigantic season of Patagonia riding comes to a close, our thanks goes out to all Customers who endured the sometimes-grueling Patagonia conditions, terrains, and weather since all the riding began back in September. A special and HUGE thanks goes out to those who shared Customer Testimonials. Not exaggerating folks, reading your appreciation and positive reactions to the motorcycle rentals, routes & hotel packages we set up for you is still one of the greatest thrills we could ask for! 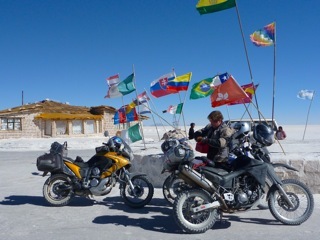 Moving into the winter months for Patagonia (late May through September) we're very excited to announce some new motorcycle trip packages in the Atacama Desert, much further north in Chile. I had blogged about the Atacama region not too long ago, and admittedly got a bit emotional as it brought back memories of my first couple years living, working, riding, and guiding in Chile. Since then, our work in Patagonia, Europe, and southern Africa has been so time-consuming, that attention to the Atacama region had just sort of "slipped" down the list of priorities, as inappropriate as that may be. What Type of Riding Skills Are Needed For Patagonia? 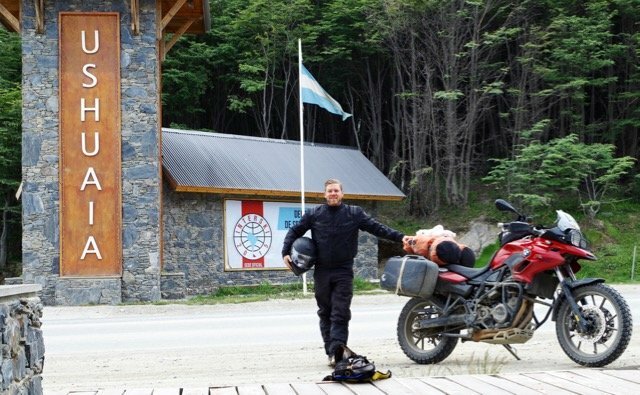 This important question comes up routinely in our line of business, aswe help adventure riders from around the world choose their trip plans: "What type of riding skills are needed for riding a motorcycle in Patagonia?" Are you more of a "Lone Wolf" type of motorcycle rider who prefers to not be part of a group ... yet you can also appreciate the safety and security of having other riders or a support truck nearby? 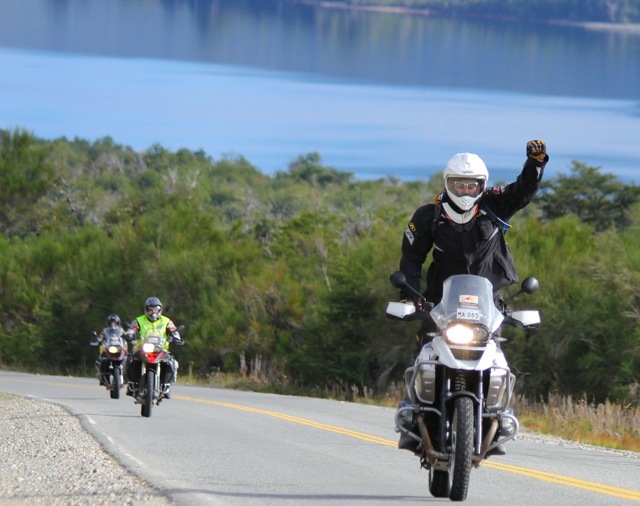 If so, then check out our Self-Guided, Truck Supported, "Full Patagonia Adventure" motorcycle trip package! This trip format is one we've had in mind for a while, and has actually been requested by many of you over the years. Only this last Patagonia season though did we finally have the right opportunity to "test it out" a bit and see how it'll work. It sure did take us a while to make the announcement, but in case you didn't notice, we have another great dual sport motorcycle trip opportunity for you to check out. This time, it's in southern Africa! Late in 2015, a group of friends & customers of RIDE Adventures set out on a mission to explore and conquer some popular routes in Zimbabwe, Botswana, Namibia, and South Africa. 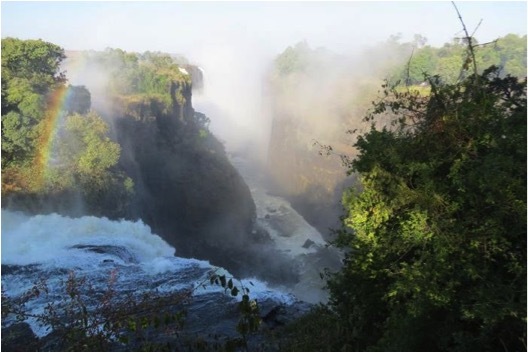 The result: our new "Southern Africa Experience" motorcycle tour package represents the absolute highlights to be enjoyed in this region. 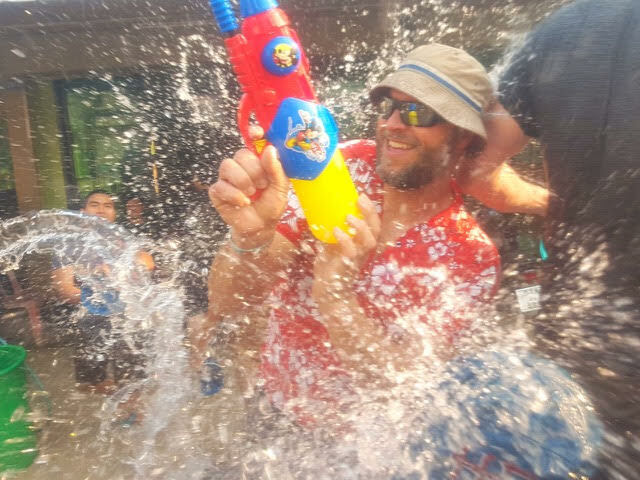 Our research, as you can imagine, is crucial to our success with these motorcycle tours, and a large part of why RIDE Adventures continues to grow now in its 6th year of operations. We start as we did with this Africa project by reading what experienced riders are saying, listening to what our local partners recommend, and by seeing what some other companies are doing, before setting out to confirm what we want the tour of the region to look like. Customers of RIDE Adventures have come to trust that our recommended routes will focus on the best riding "moments," and have the highest percentage of peak-level scenery, riding, and overall experience possible. Start Your Reservation Process Now.